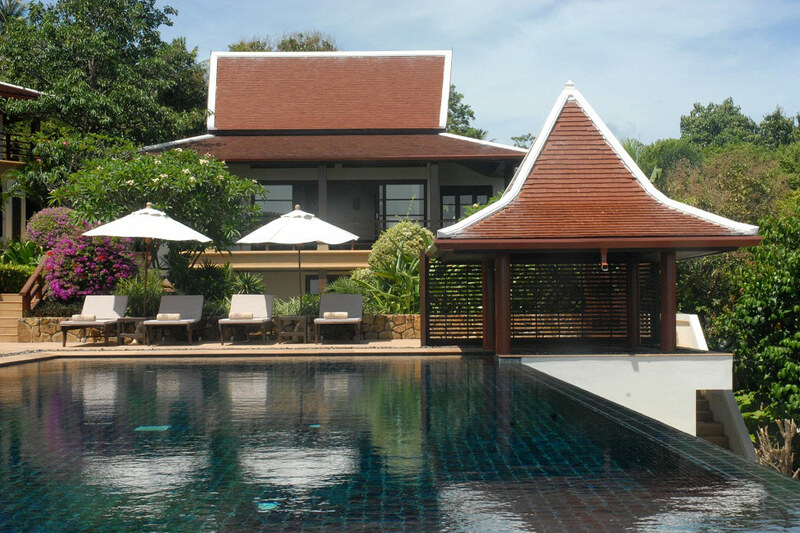 "An impressive and subtle combination of space, comfort and design"
Nestled in the heart of tranquillity in the hills of Bophut, Ban Kinaree strikes an idyllic balance between contemporary grandeur and Thai-Balinese timelessness. 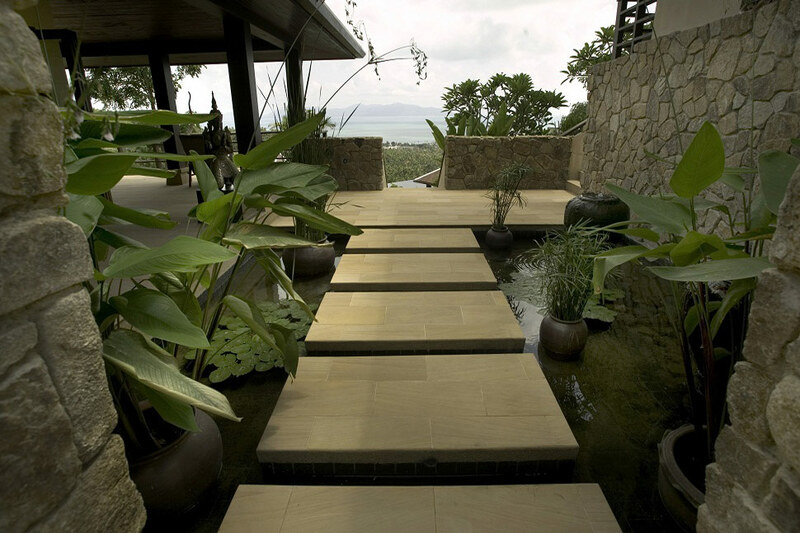 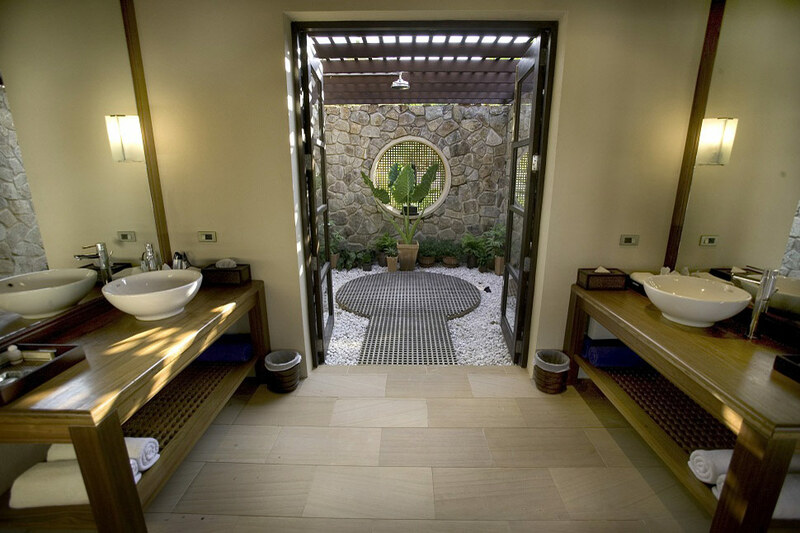 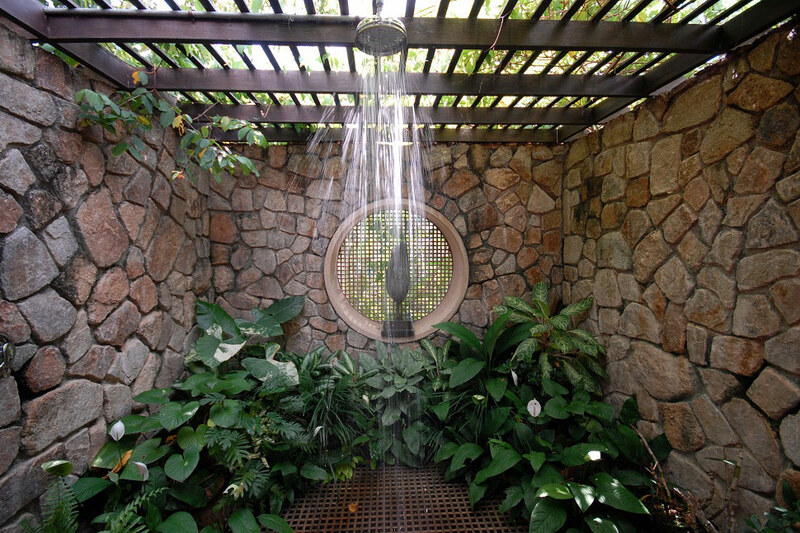 The walk-through the entrance area with its solid wood carved door and water features gives away the atmosphere from the first step into the villa. 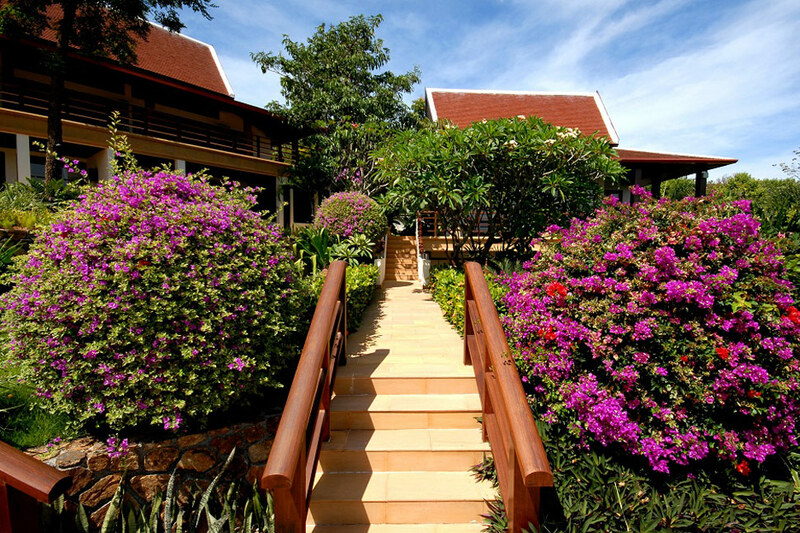 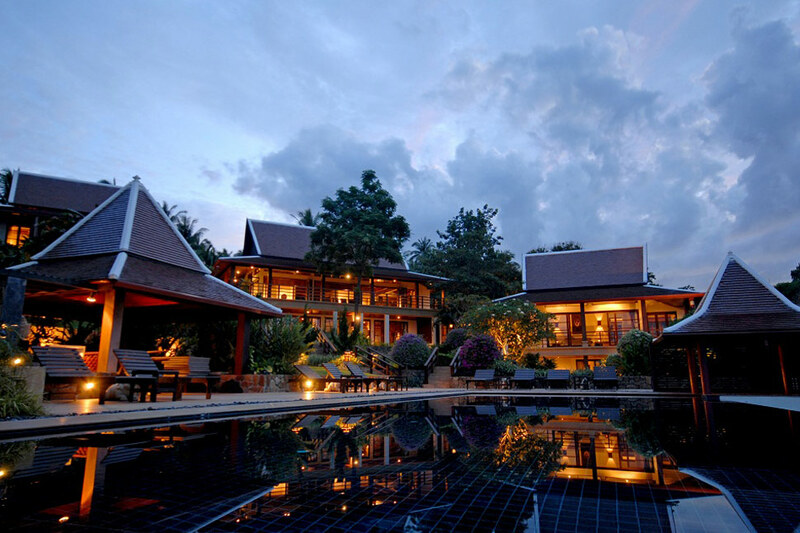 Ban Kinaree is made of 3 separate pavilions harmonized in a terraced compound setting with luxuriant and lush garden landscaping. 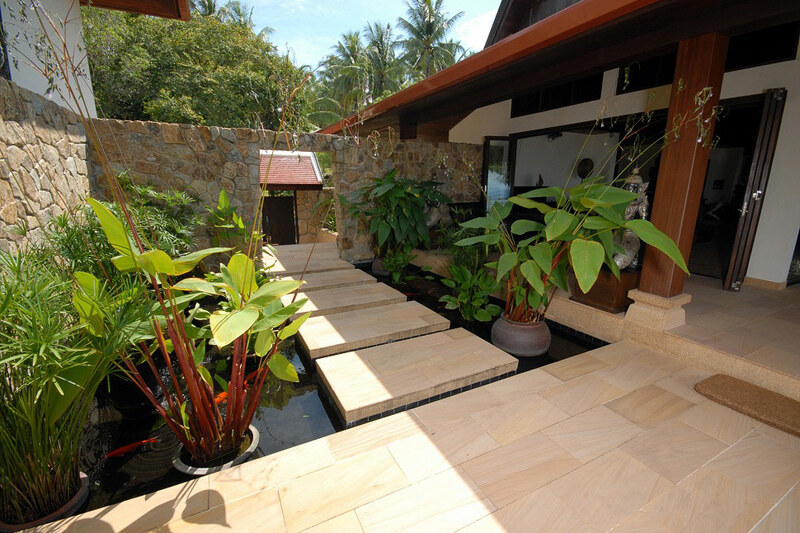 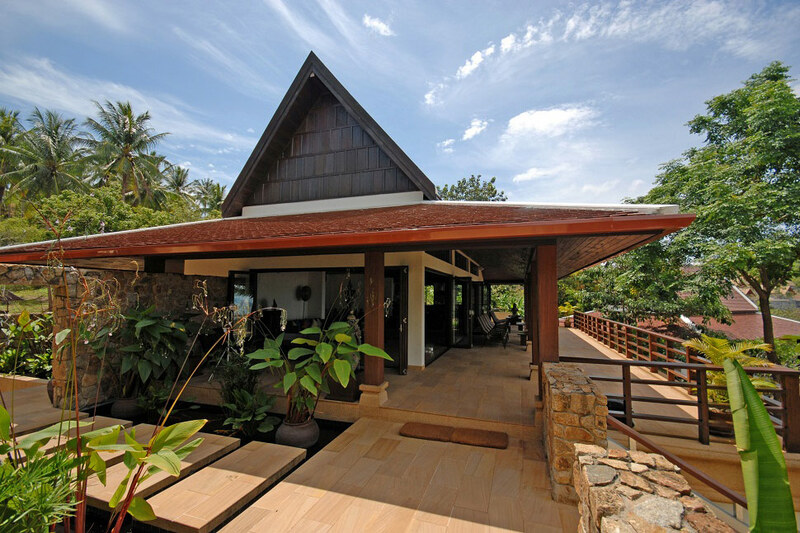 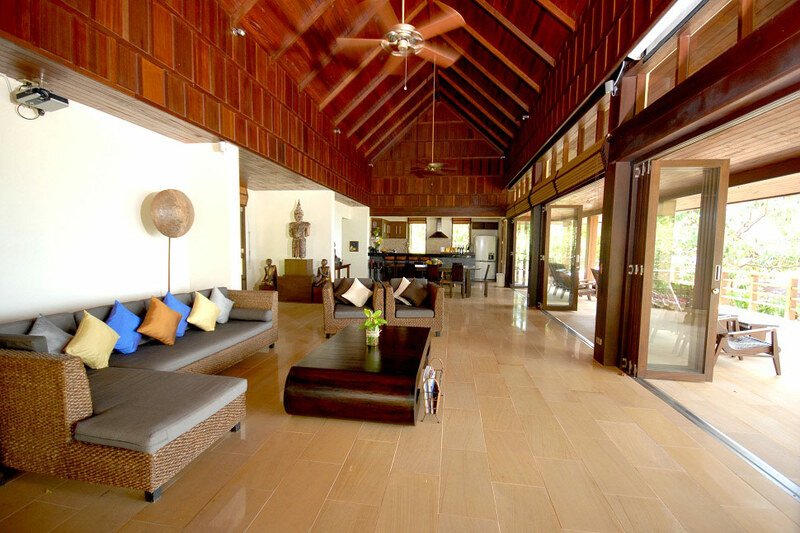 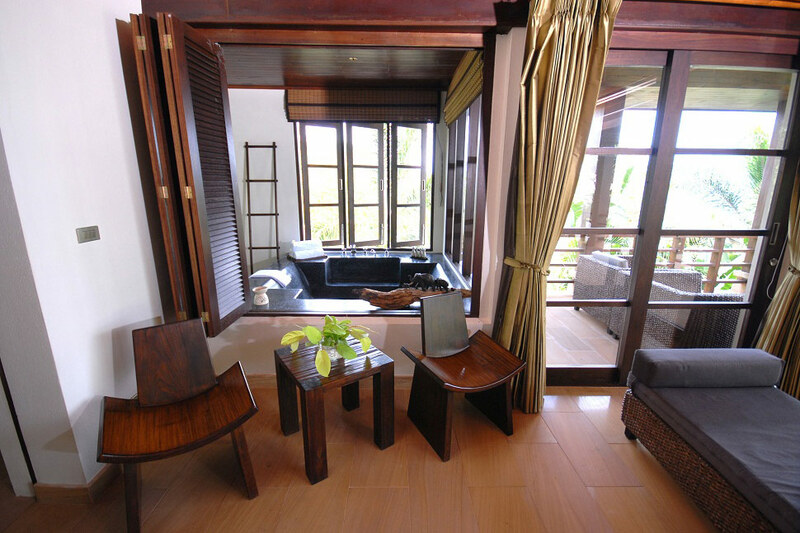 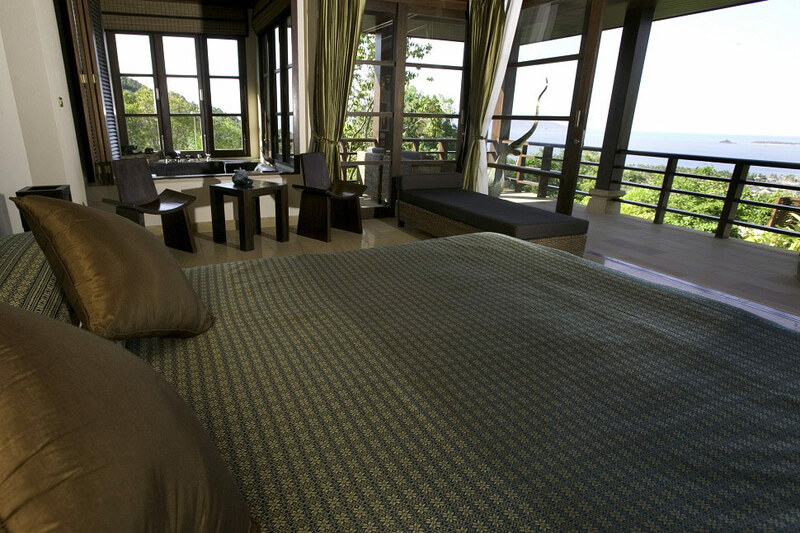 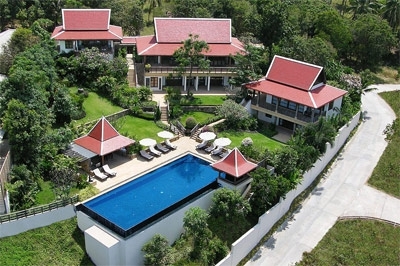 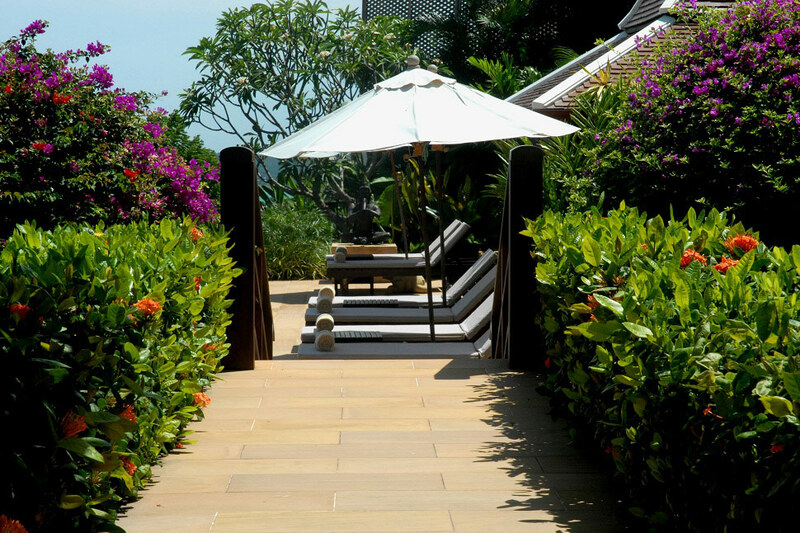 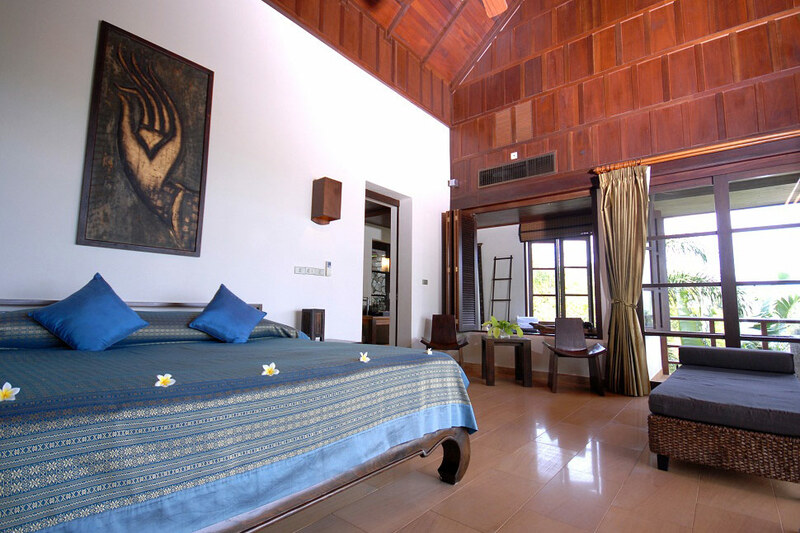 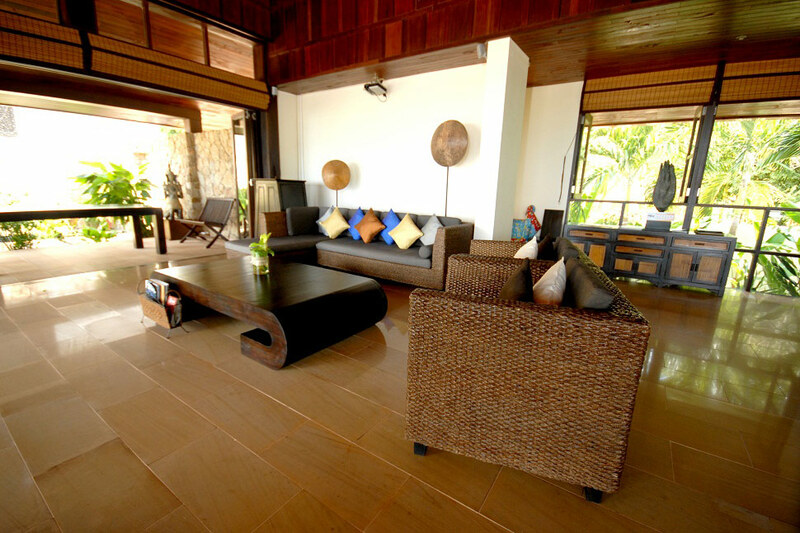 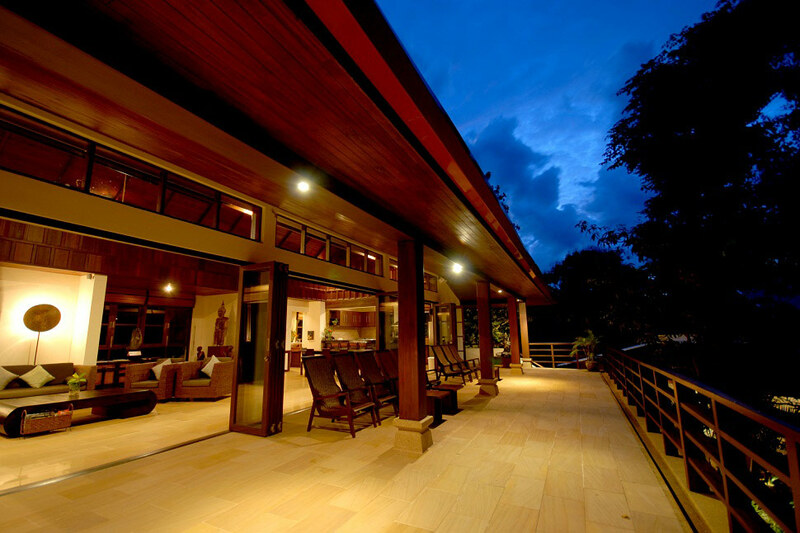 The smallest pavilion hosts one bedroom; the largest and main pavilion features the large living/dining/kitchen as well as the 20 meter terrace overlooking Bophut Bay on the first floor, 2 bedrooms occupy the ground floor; the third pavilion hosts the master bedroom and the 5th bedroom on the ground floor. 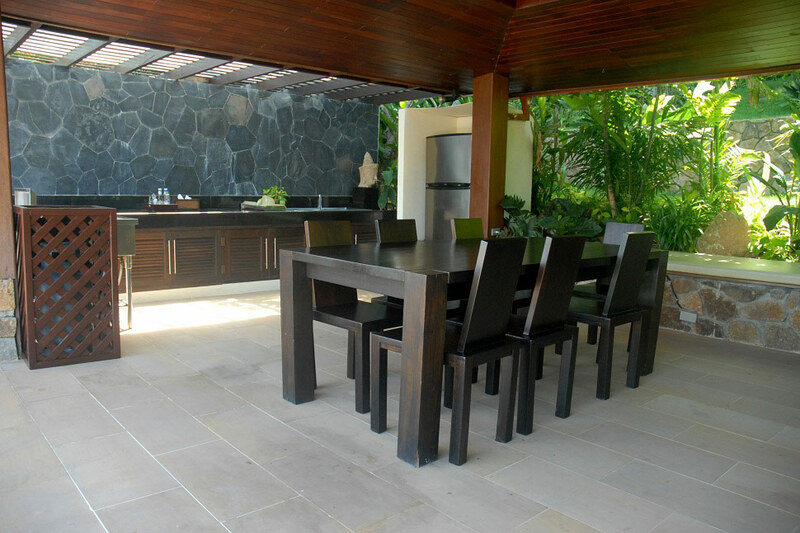 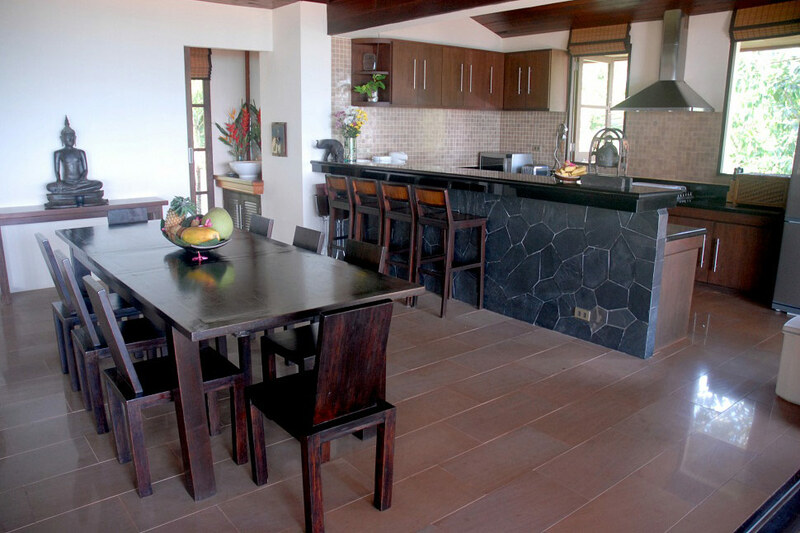 The layout of the property and the garden setting provide both ample privacy and comfort to everyone when desired and also allows great entertaining when opened up as a complete residence. 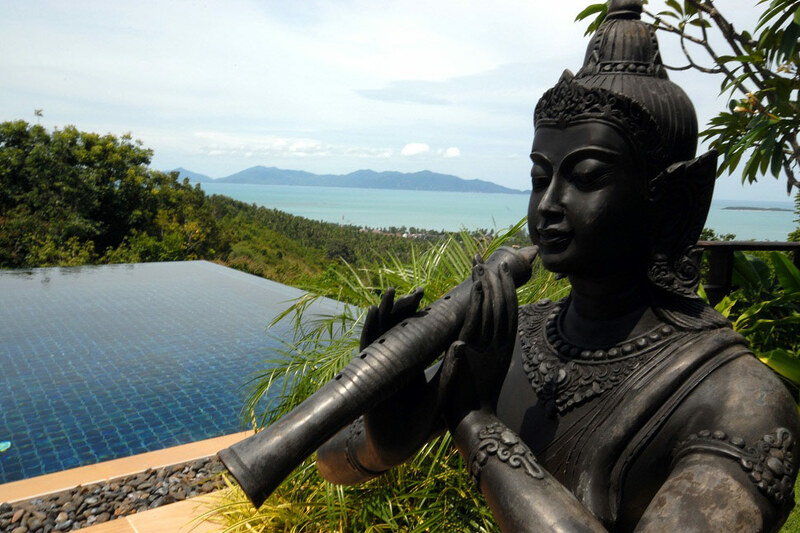 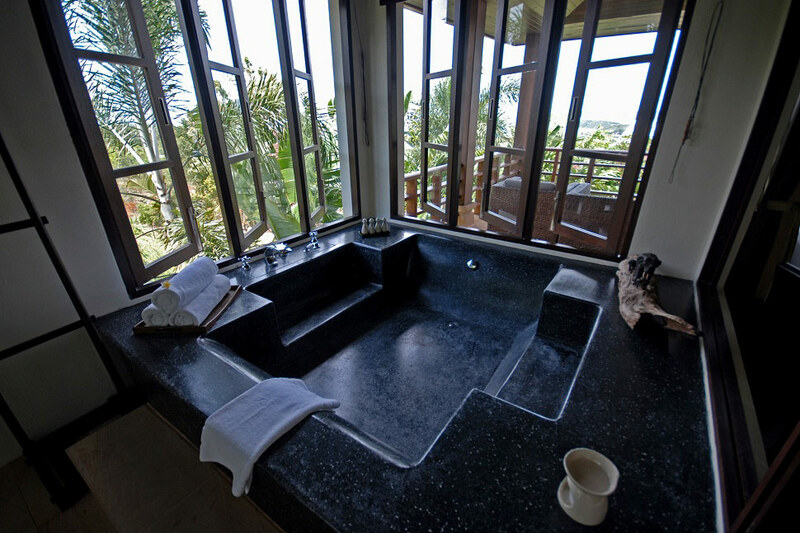 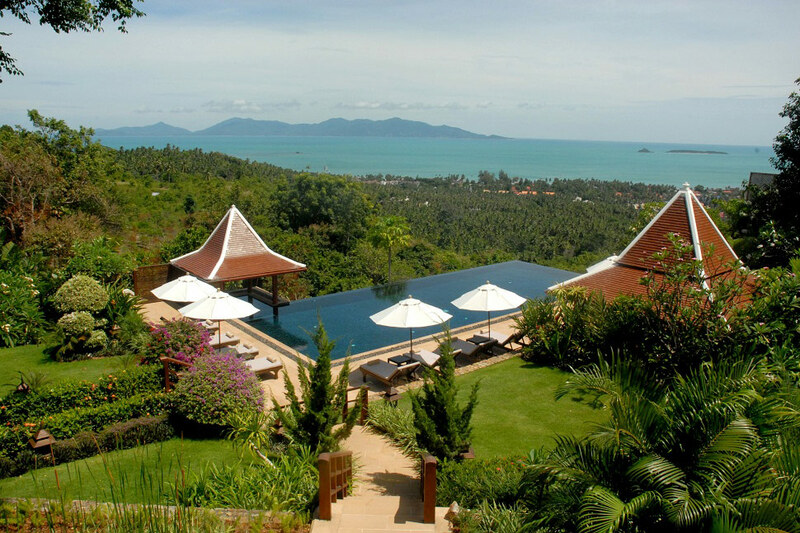 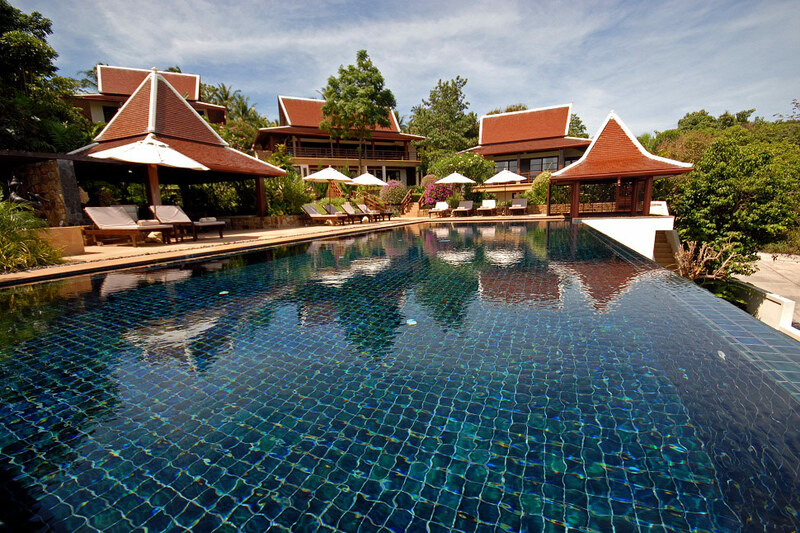 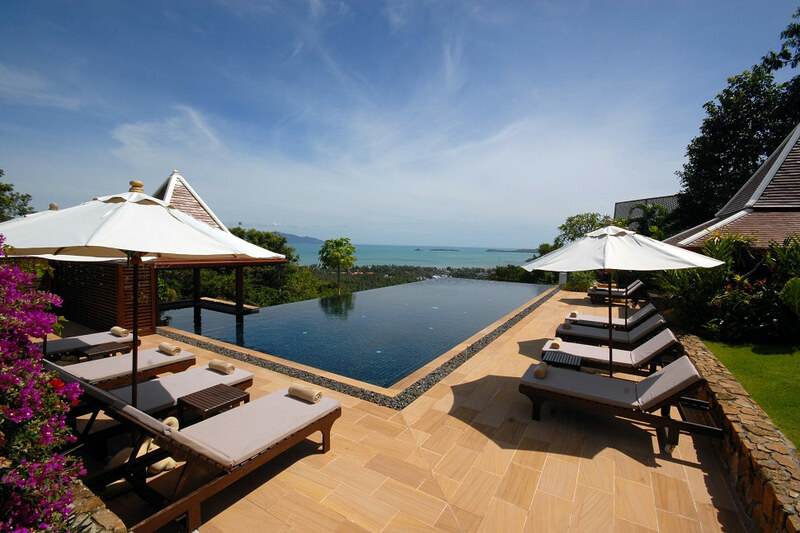 The focus of attention at Ban Kinaree is centred on the large infinity-edge swimming pool, which reaches out to a stellar view of greenery and ocean. 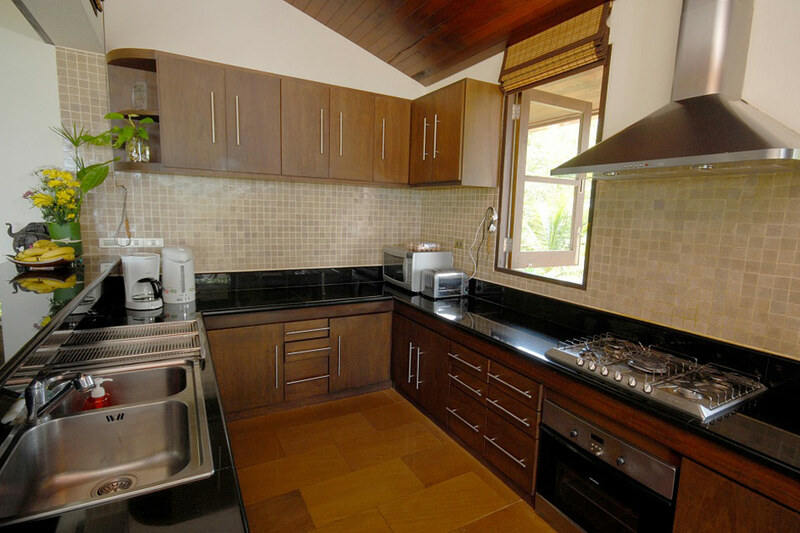 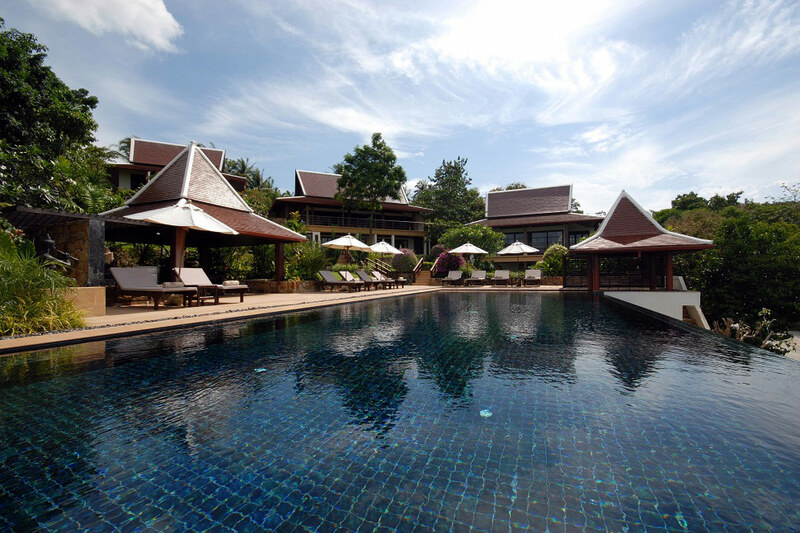 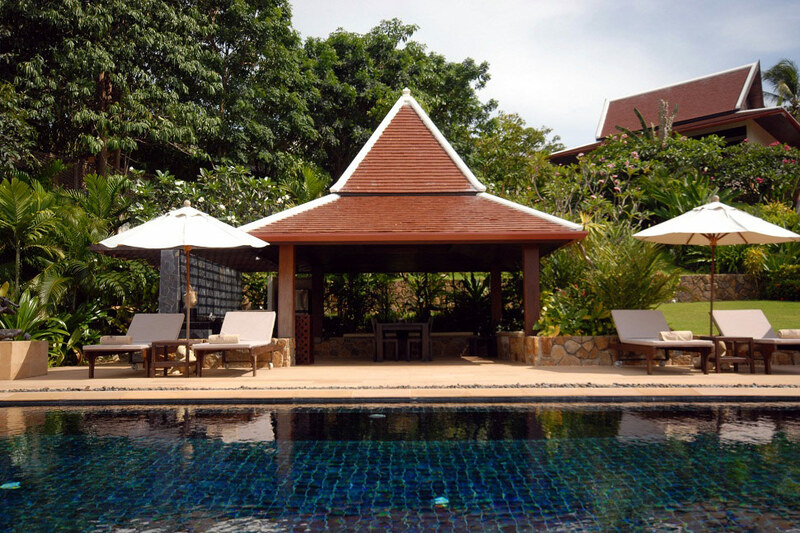 The pool Sala presents a full bar and BBQ , one may also indulge in the privacy of the Jacuzzi attached to the pool. 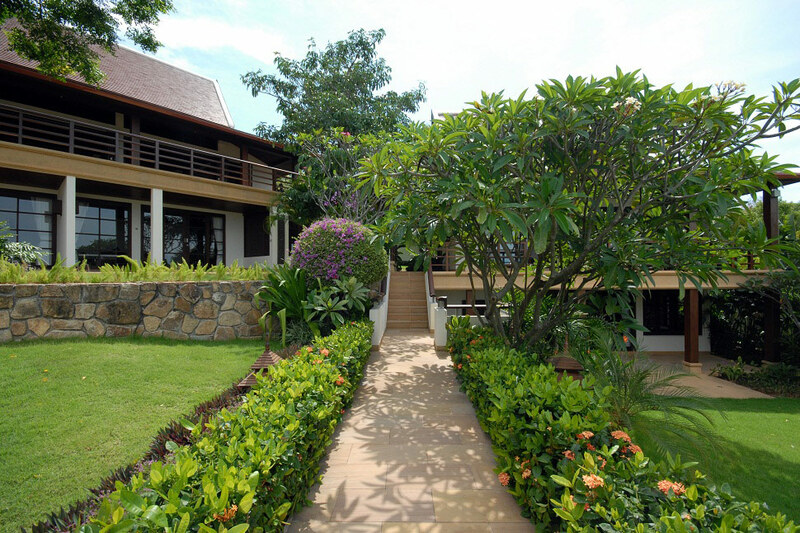 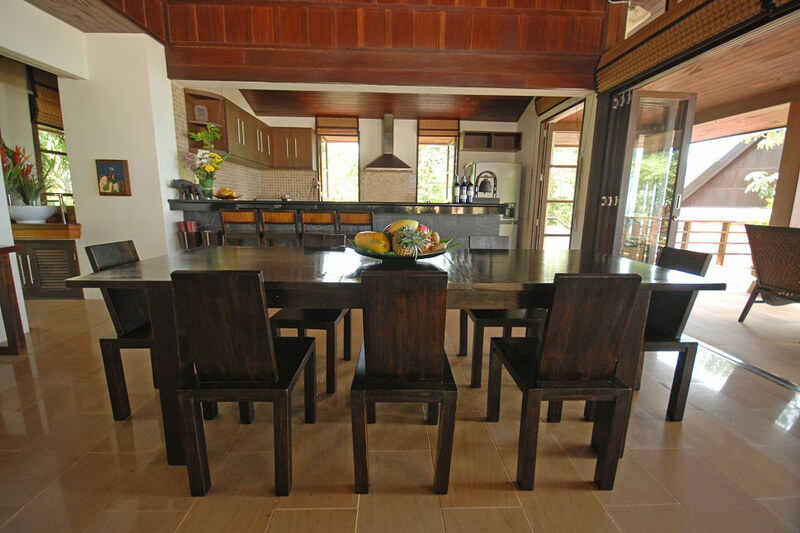 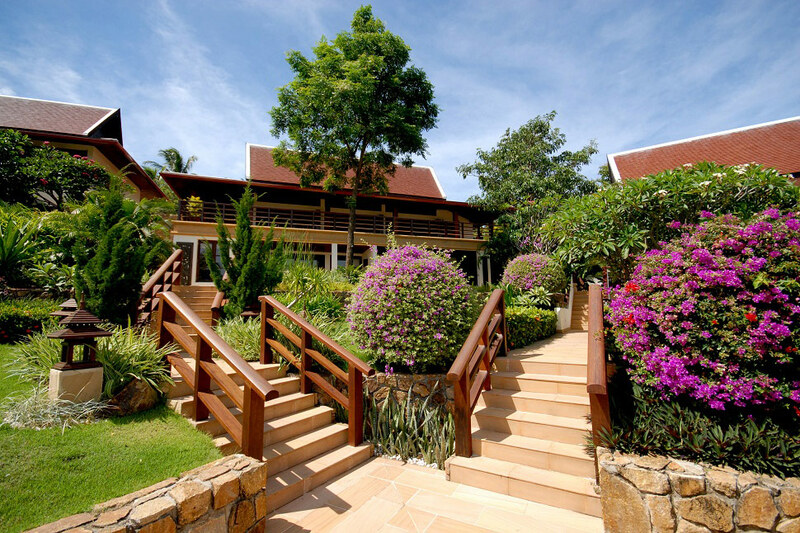 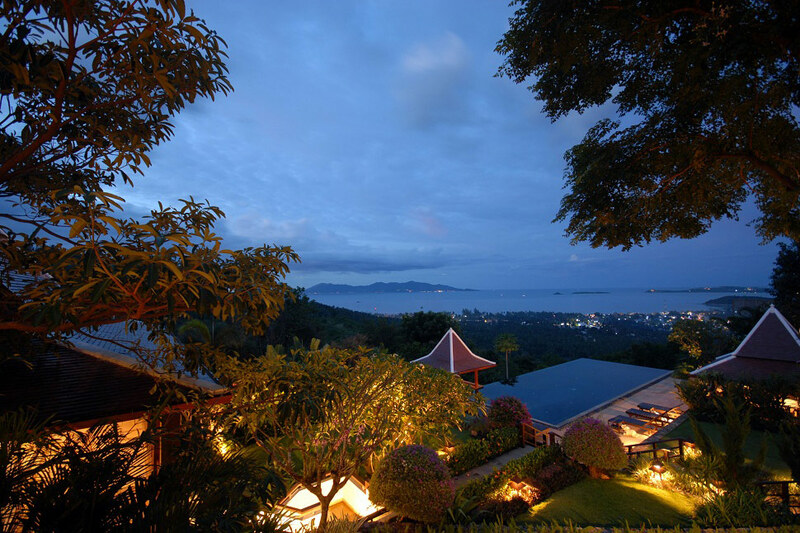 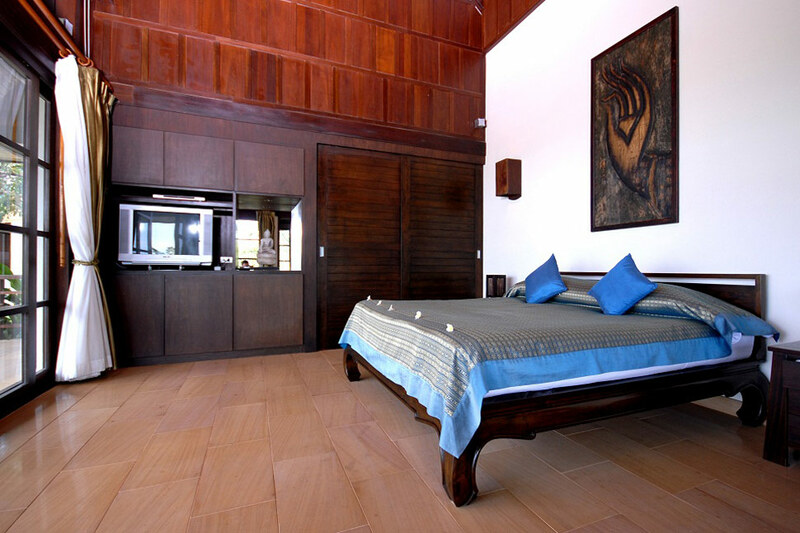 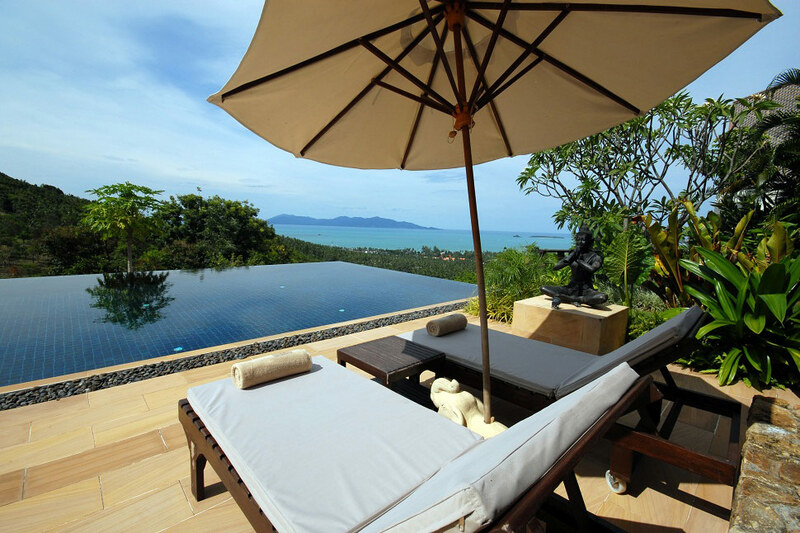 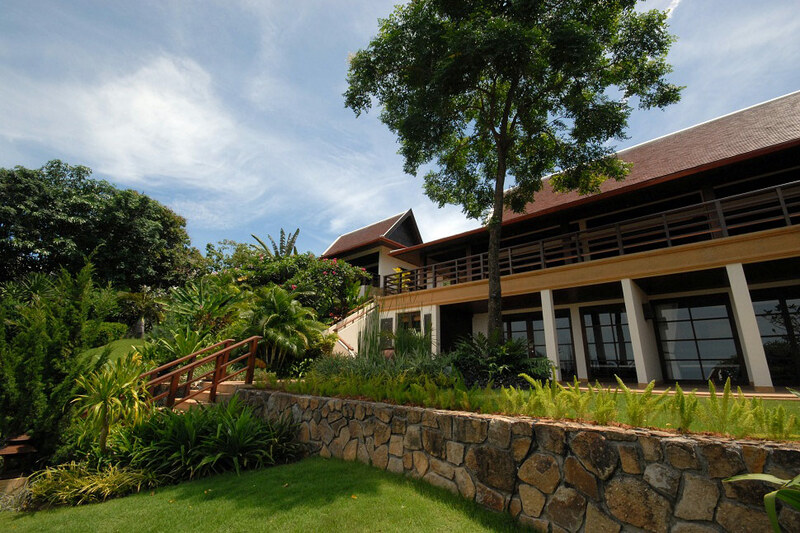 The villa location, up in the Bophut hills and 10min drive from the Bophut "Fisherman Village", provides Guests with stunning sunrise and sunsets settings while dominating the neighbouring island of Koh Phan Ngan and being a short drive away from the beach or nearby restaurants.